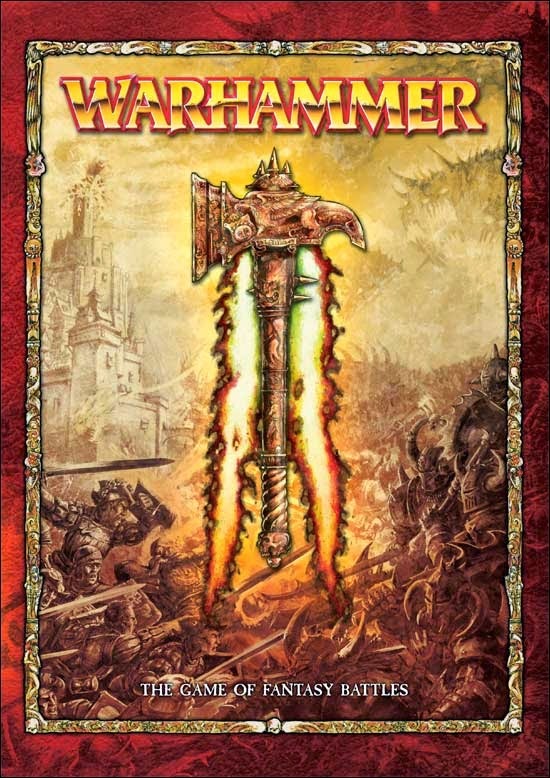 According to the rumours we should expect WHFB 9th Edition in September, or we should expect it to be discontinued in December, or we should expect it to be replaced by a Mordhiem like skirmish game, or we should expect 9th edition in 2015. All of the above are rumours i have heard regarding the future of WHFB. From the outset i want to make clear that i think it highly likely that WHFB will get a 9th edition and find it highly unlikely that WHFB will be disconnected. I believe WHFB is in fact growing, its player base swelling with every new army book and GW would have to be declared insane if they dropped it. The point of this post is to address several issues all at once. Firstly i want to take a look at the state of rumours about GW's release schedule, why are there so many rumours about the same thing and how can we possibly tell a false rumour from a true one. Then i want to address the rumours/view that WHFB is a game system in decline, that its player base is dwindling and try to show that this is not the case. Finally i want to talk about 9th Edition Warhammer Fantasy Battles, what i hope to see i the new edition and what i think is likely to be in it. So grab a mug of your favourite hot beverage, sit back and read on. Dont let its age deceive you, its not dead yet. Ulric is back on the menu. Religion / the gods are more prominent. Theres also a sphere of influence so Sigmarites will not be affected by Priests of Ulric and Ulricans wont be affected by sigmaric priests...etc. Different gods priests have different abilities. Ulric are ‘frothing loonies’ and Morr focus on undead. Priests can impact on a units abilities when they join them. There is a new focus on Morr. Priests of Morr, Knights of Morr, Garden of Morr, etc. Clearly that source was very wrong but any Empire player reading that couldn't help but be excited at the prospect. So how do us, as fans of these armies, tell a false rumour from a true one? Well what happens now is, due to constantly leaked images from White Dwarf, we know what Army will be released one week before GW announces it so if you only pay attention to rumours that appear in the one week prior bubble you will be able to avoid being disappointed by false rumours, mostly. The other way would be to not invest too much hope or energy in any rumour, and just wait until GW announces the army. A puzzling popular rumour that is currently running around is that WHFB will be discontinued at some point this year. This rumour is fulled, i think, by the view that WHFB is a dying game system and isn't making GW as much money as they want it too. Its player base is shrinking, the army releases aren't drawing in the sales ad soon GW will axe it. Needless to say i reject such rumours. If you ask someone who tells you this why they think this is true eventually you will find the reason why they hold this view boils down to personal experience and anecdotal evidence, in other words "Well in my club there aren't many WHFB players". Anyone who has studied debates, or who has debated before will know that arguments from personnel experience are weak. For example Person A claims that Medical Drug X makes him feel ill so it must be bad, but Person B says that he took Medical Drug X and felt fine? So whose argument from person experience should we believe? The answer is that you shouldn't believe either argument but instead look at the hard evidence and thats where the debate about WHFB hits a snag. Both the people who claim that WHFB is dying, and those who claim that is isn't, both have no hard evidence because none is available. What both sides would need is the sales figures for WHFB in a time where is was popular (say 6th/7th edition) and now to draw any sort of concrete conclusion. So where does that leave the debate? Well it means that the arguments have to be based on personal experience as its all we have. 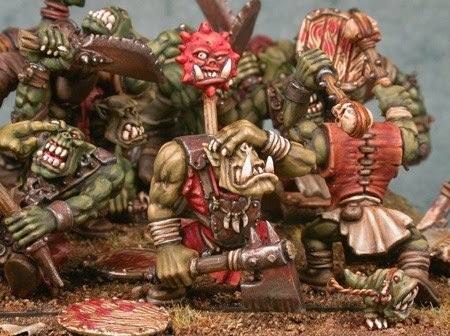 Unsurprisingly, to anyone who knows me or reads this blog regularly, i do not think that WHFB is dying and i think that is is growing, perhaps more slowly thank Wh40k but growing none the less. There are two main reasons why people think WHFB is dying, so lets examine these two points and refute them. The WHFB section of (insert forum name here) is so much more quite than the Wh40k section. This is quite a common point brought up in these debates and it may well be true, the WHFB section of these forums may well be less active than the Wh40k one but to go from that to "WHFB is dying" is a huge leap. To counter this i present the example of the Wargaming club i attend. In my club there are 10 WHFB players and only one of them (that i know of) posts on forums. Now i have a theory as to why this is the case. I think the reason why WHFB players don't go on forums as much as Wh40k players is because they simply don't have the time/desire to do so where as Wh40k players do want to go and post on forums. I am not sure why but that seems to be the case but regardless less people kn the WHFB section of a forum doesn't mean that WHFB is dying. There are less WHFB players in my club than Wh40k players, and the number of WHFB player is shrinking. My instant reply to this is "Well in my club the number of WHFB is growing". The problem with this argument is that i can go out onto the web and find a great number of people who will tell you that, like my club. WHFB is growing and getting more players, so who do we believe? At the end of the day, in a debate that lacks hard evidence, you should believe whom ever you think has made the best case. Until we see sales figures for WHFB products over a long period of time we wont know for certain if WHFB is dying or if GW will axe it. But why do i think that WHFB isn't dying and that GW wont drop it? Well for the firstly i don't know that WHFB isn't dying, i suspect that it isnt but i wont know until i see those figures. Likewise i dont know that GW wont drop WHFB but i suspect they wont, and here is why. There are alot of WHFB players out there who don't like 40k. So if GW were to drop WHFB then thats customers lost. And i wouldnt be surprised if there a a fair few WHFB players out there who play 40k on the side who would also quit all GW products if WHFB was axed. In short i think it would be too big a risk to take, one that could backfire on GW horribly. If i dont think WHFB will be dropped then what do i think about the inevitable WHFB 9th edition? Well a few weeks back i wrote a post where, among other things, i showed that there was a cycle to WHFB and it stated with 4th edition. In short 4th edition was a big change from 3rd and 5th edition only tweaked 4th slightly. This continued with 6th and 7th until we reach 8th where it was a huge change from 7th. I think that WHFB 9th edition will be a slight rules update to 8th. Now if this is a good or bad thing depends on how much you like 8h edition. For me this is good news indeed as i really like 8th edition, and another 4 more years of playing basically the same game is something i look forward too. The title of this post (The Rumour Conundrum) refers to the state of GW news and release scheduled: Do news sites publish rumours on the chance they could be true or do they not publish the rumours and mislead their readers? Its a unenviable position to be in and i encourage anyone who reads this not give news sites that get it wrong too harder time if they do get it wrong, its not their fault. Also i would say to people who think that Game System X or Army Y is about to be axed to keep in mind that GW's primary goal is to make money, and that everything they do is an attempt to do so (7th edition 40k is a perfect example). GW hasn't dropped an army or a game system for all of the 10 years i have been doing this (they even still support the Lord of the Rings game, and if they still support that then WHFB is going nowhere) and so it is unlikely that they will do so. Until next time. Spot on I reckon mate. We all enjoy Faeit 212, but at the same time, the ups and downs and rumour-mongering can be a bit much some time, to the point of generally (well in my case) people stop believing any of it unless it involves a picture.